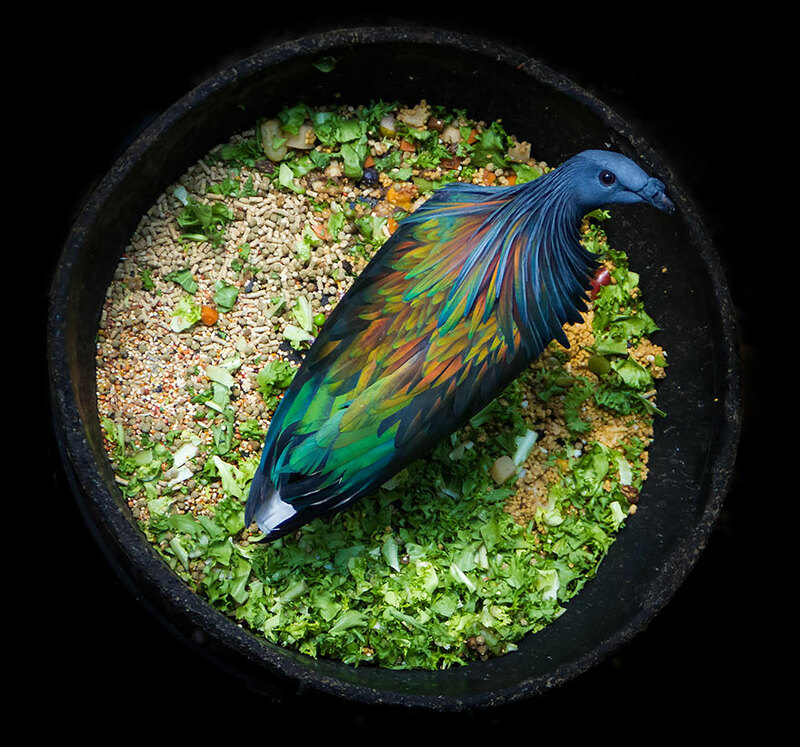 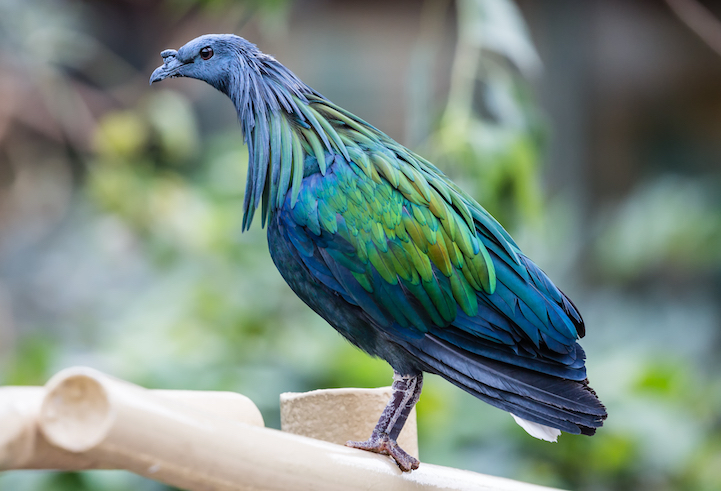 Nicobar pigeon is the closest living relative to the extinct Dodo Bird with stunning colorful iridescent feathers. 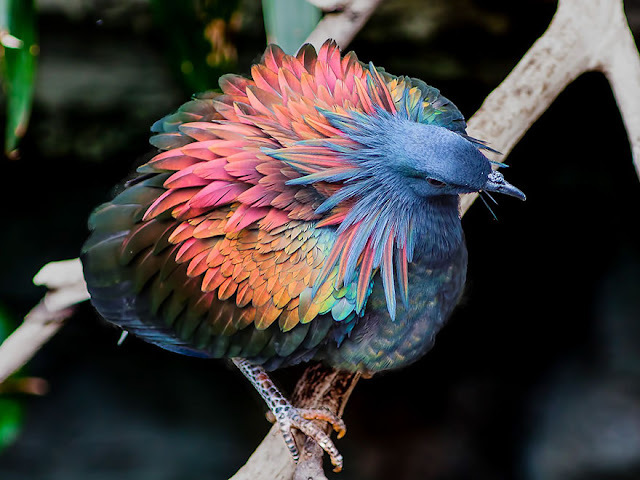 It’s absolutely stunning even they’re relatives, looks nothing like the Dodo. 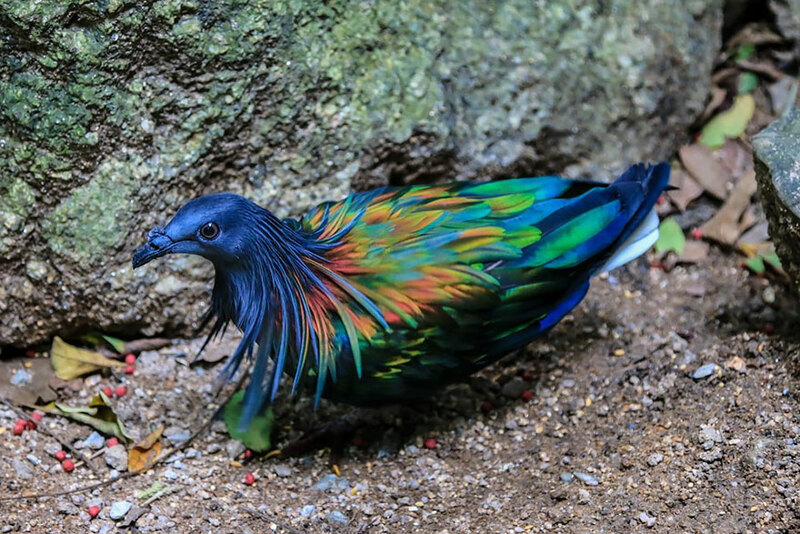 Nicobar’s luminous colors is the only difference, has reddish legs, a while tail and well covered in blue, copper, and green feathers. 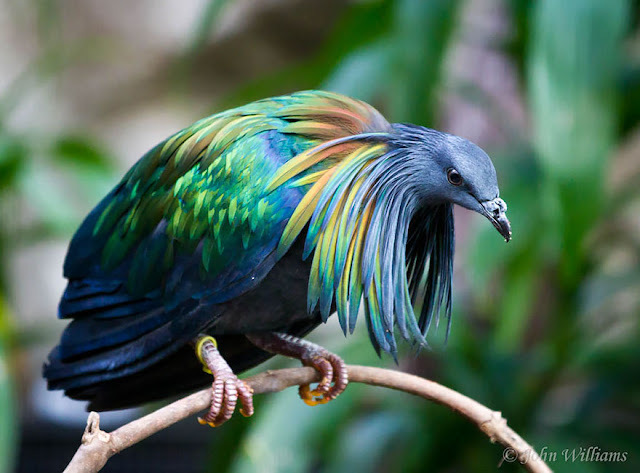 The Nicobar Pigeon is located at coastal regions from the Nicobar Islands. The bird’s vibrant colorful characteristics aren’t many natural predators that the pigeons would need to conceal themselves from. 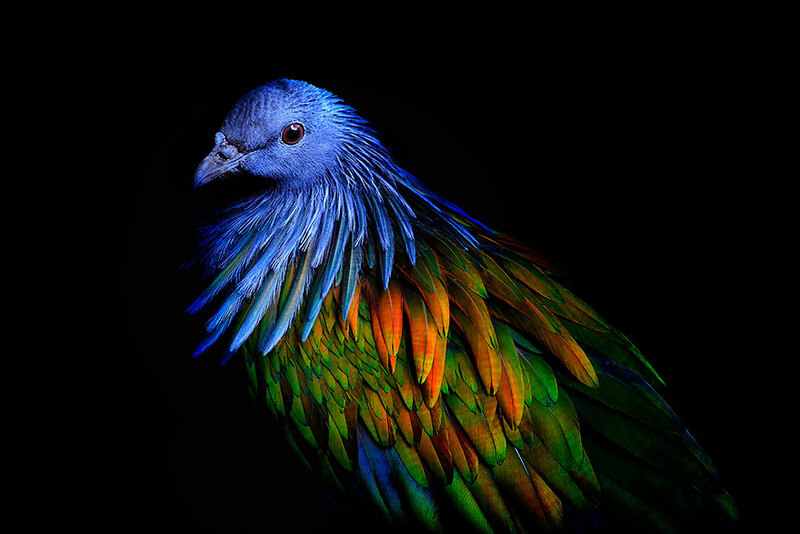 The Nicobar Pigeon is considered “near threatened” in the IUCN list. The dodo bird has been long extinct, but Nicobar pigeon is the closest living connection the famous flightless bird. 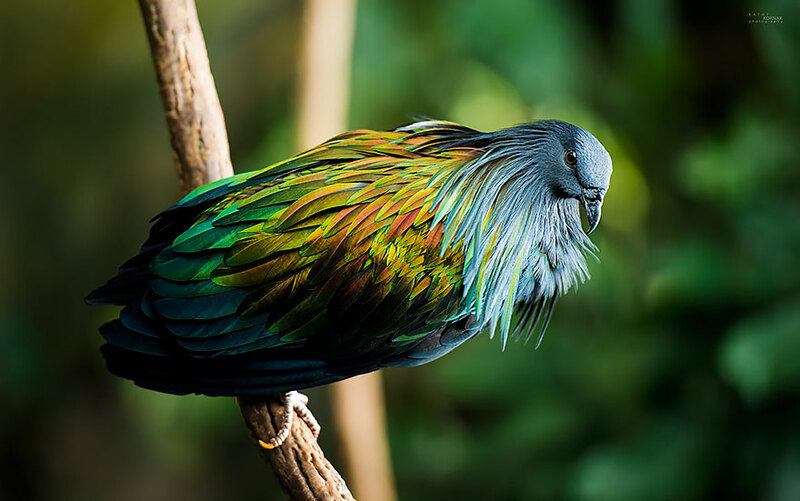 The stunning colorful Nicobar pigeon resides in Southeast Asia and the Pacific, from the Indian Nicobar Islands eastward to places like Thailand and Papua New Guinea. 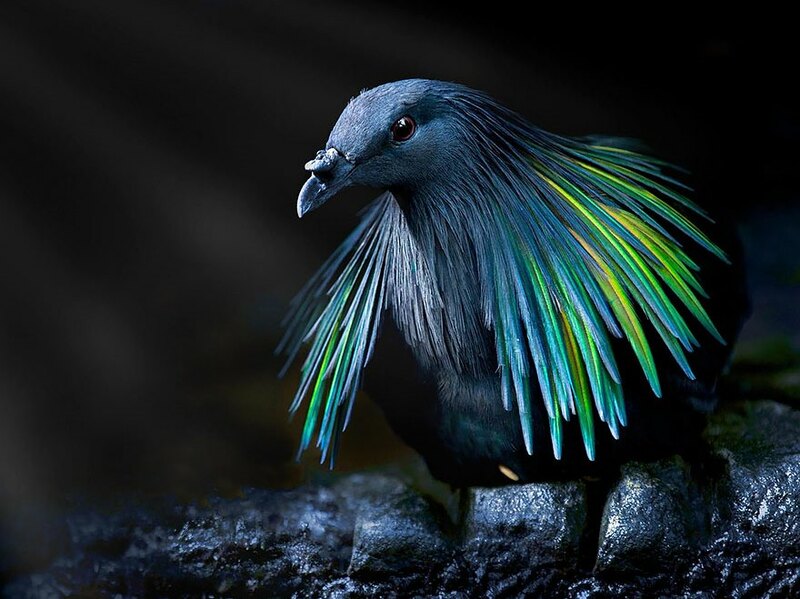 The precise population is not confirmed, however its numbers are declining due to deforestation and release of non-native predators. 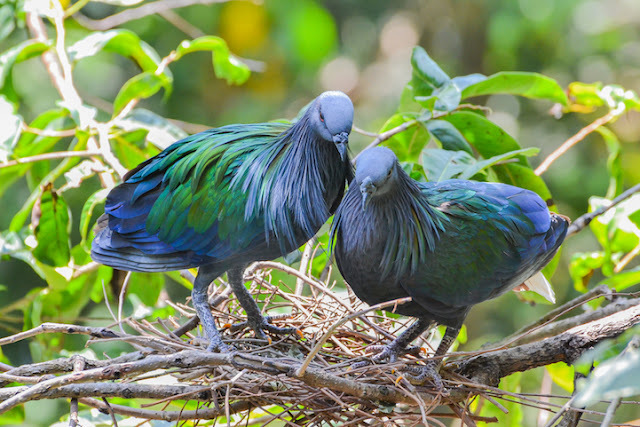 The Nicobar species nests in dense forest on offshore islets, habitually in large colonies. It builds a loose stick nest in a tree. 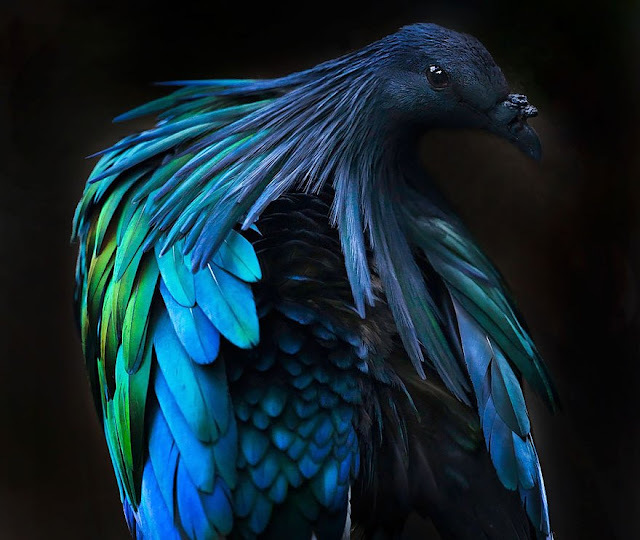 It lays one elliptical faintly blue-tinged white egg. This species roams in flocks from island to island, habitually sleeping on offshore islets where no predators take place and spends the day in areas with healthier food availability, even not shying away from areas inhabited by humans. 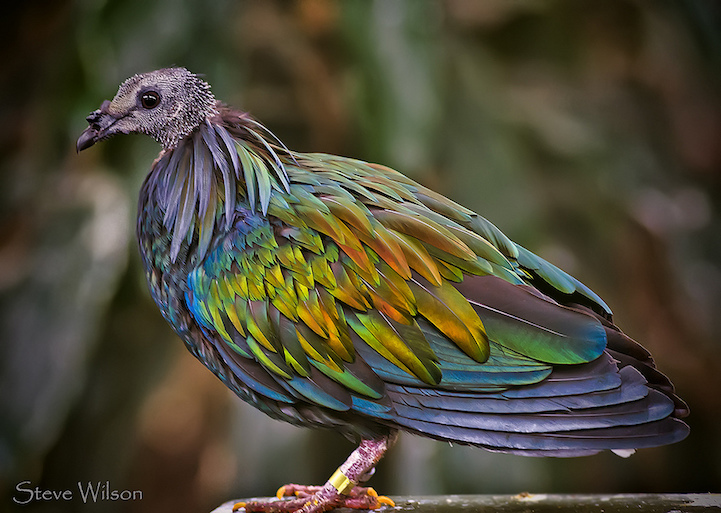 The Nicobar food consists of seeds, fruit and buds, and it is attracted to areas where grain is available. 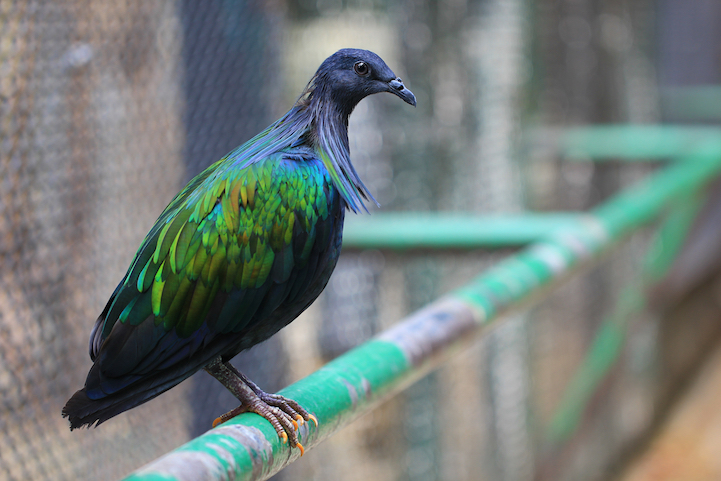 Nicobar is a large pigeon, measuring 40 cm in length and it is a very vocal species, giving a low-pitched repetitive call.